I closed my safety deposit box at the bank today. 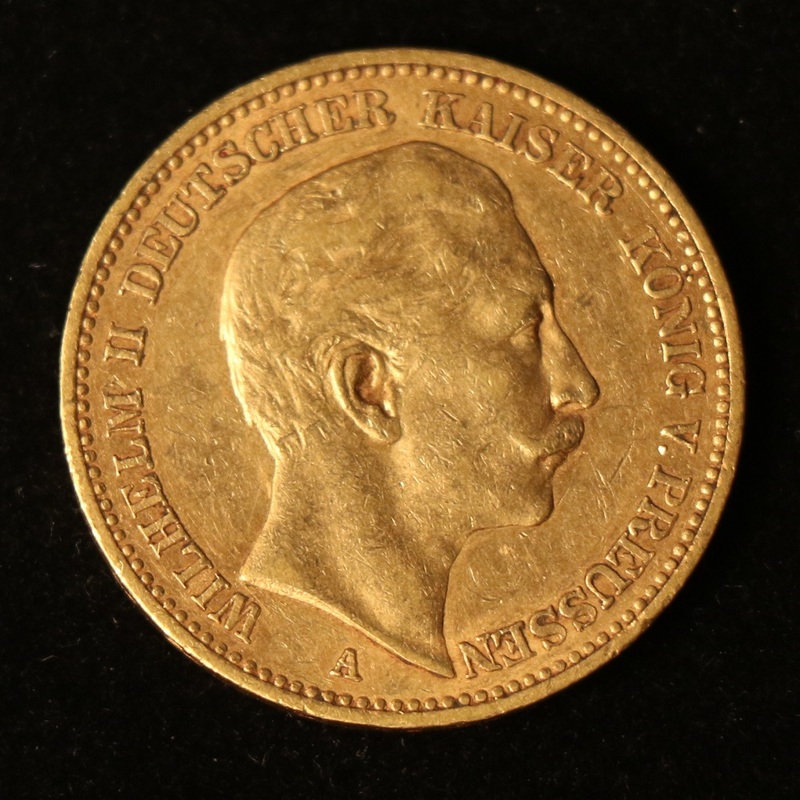 It had a few Krugerrands in, and an 1894 20 Deutsche Mark coin. I bought the coin from my dad long ago in South Africa, and it’s worth about $400 today. It was gifted to him by a German business associate called Eduard Dörrenberg in the 1970s, says a little cardboard note with the coin. The obverse of the coin. The coin is 90% gold (0.23 oz), slightly smaller than a US quarter. Wilhelm II was the last German Emperor and King of Prussia, reigning from 15 June 1888 until his abdication on 9 November 1918. Says Wikipedia: ‘Bombastic and impetuous, he sometimes made tactless pronouncements on sensitive topics without consulting his ministers’. Sound familiar? The reverse of the coin. 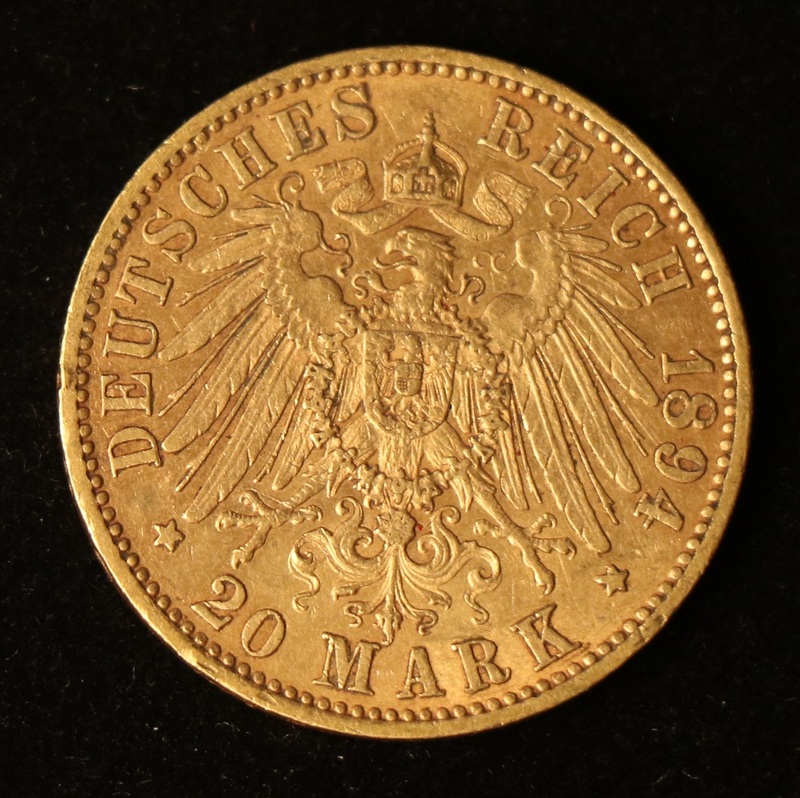 The eagle is from the coat of arms of the Kingdom of Prussia (1871–1914). I love these ferocious creatures that are featured on coins. The implicit message is: Don’t mess with our sovereignty!